Before going into a full-blown content production, an agreement has to be written to determine the rights and responsibilities of both parties. This is agreed upon by the production company and the producers who will make the content. 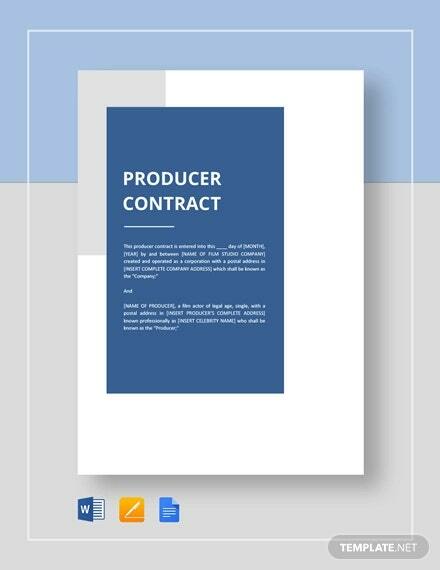 A production contract template offers protection to the content itself and has other benefits as well. Just because you now have the contract in your hands does not mean you can sign it right away. You have to be mindful of these things first before putting your signature on paper. 1. Familiarize the basic information. Ask about the what, when, where, and how before signing a contract. The what is the thing you are signing up for. When is the time of the effectivity of the contract and the how is the processes stated in the contract? Make sure that all the parties are identified in the contract and there is a lawyer who will sort out the mess should any misunderstanding arise while the contract is effective. Also state the number of work hours, payment structure, and insurance of the production costs. You may also see event contract templates. When you get the contract, read through everything and understand each part. It’s good to be familiar of the contract while you have not signed it yet. You might stumble on questionable things that seem shady and disadvantageous on your part. Ask the other party about it before you sign the contract. It is sometimes irrevocable and you might need to cancel the contract if you receive the short end of the stick. 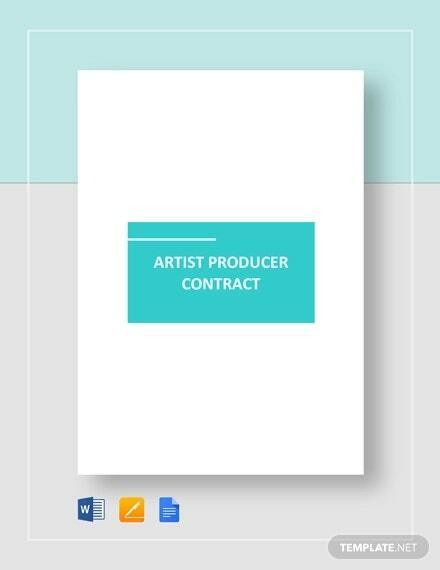 You may also see artist contract templates. Some terms of the contract can still be negotiated if it is not favorable for both parties. Every term can be negotiated and an attorney can identify each of the terms. You might end up bound to the things that do not favor you but gives more benefit to the other party. It is something that you should avoid. You may also see teacher contract templates. Life is unpredictable, and so are contract agreements. They can get canceled anytime or end up in a lawsuit when the parties are at odds with each other. You need to save enough money in case one of these things happen. Hiring an attorney costs a lot when it comes to payment. Paying damages in lawsuits cost even more. 5. Think it through one last time. The last step before signing a contract is thinking about it. Think if it is worth signing for or if you still have some suspicions and things that you don’t understand. If you make up your mind, put your signature on the contract and seal the deal. You may also see labour contract templates. Mass media produces content on an everyday basis. It aims to educate and entertain us in their own way with their unique concepts and approaches. Some of the heavily produced media content has made a mark in the history. These content are just within the palm of our hands, especially now that we have easy access to the internet. You may also see IT support contract templates. Advertisements are short videos endorsing a product. This can either last for 30 seconds or 1 minute, depending on the airtime it gets on television. Advertisements can also be seen on the internet, most especially on Youtube. It plays before the video starts. Depending on the product and the company, advertisements are highly-budgeted, highly-stylized, and well-thought of. It entices people into buying the product with a comprehensive story or using a running joke. It also includes a catchy jingle to hook the people into buying the product. You may also see supply contract templates. Films are videos made for the big screen in movie theaters. The usual film length is around two hours. Films have different genres of romance, comedy, horror, fantasy, thriller, and action. Of course, everything in movies is pre-produced. It has gone through shooting and editing before it gets released. A film’s success is measured by the amount of money it gained within its showing run and the number of people who watched it. Some films become iconic for its story, one-liner dialogues, and the overall impact of the movie to the audiences. Some stir controversy due to the subject matter or in casting powerhouse actors. Watching movies is a favorite pastime for a lot of people. You may also see consulting contract templates. A television series is a weekly serial divided into episodes. Unlike in films, the shooting process of the television series can happen as the canned episodes are airing on television. America, Britain, and South Korea are some of the countries with top-notch productions when it comes to television series. The streaming giant Netflix offers streaming of your favorite series as well as their original content on internet TV. The success of a television series is measured by its ratings and popularity among the masses. The episodes can be cut short or extended based on these two factors. Over time, the best television series has taken the world by storm for its plot, cinematography and production value. You may also see free contract templates. Documentaries tackle issues in the society. It can last from five minutes up to an hour and tells a comprehensive story of the issue at hand. Documentary hosts immerse themselves in the situation for a better storytelling. However, not all hosts immerse themselves when the situation is risky for their safety. Some documentaries have won awards locally and abroad for its upfront storytelling. It is telling the truth in the most artistic way. You may also see student contract templates. The animation is the art of making motion pictures through digital drawing. This industry takes a lot of time to perfect and hard work to make it come true. Characters and settings are drawn on the computer and are made to move by using applications. Much like movies and television series, a screenplay for the animated movie or series is also written to create a good flow. Animation can be found in an advertisement, be made into a movie, or serialized on television. Japan is the main creator of animation which enjoys massive popularity worldwide. The animation is geared toward children and teenagers, with stories ranging from light to dark. You may also see payment contract templates. News programs are delivered on a daily basis. It rounds up the latest news for the past 12 hours (at most). Reporters go on the field to get the latest information and support it with a short video. A news item lasts from 60 to 90 seconds depending on its length. Current events are shown first, then it goes to light news, entertainment, and sports. The maximum length of a news program including the advertisements is one hour. Responsible and ethical journalism is practiced in this field of production. 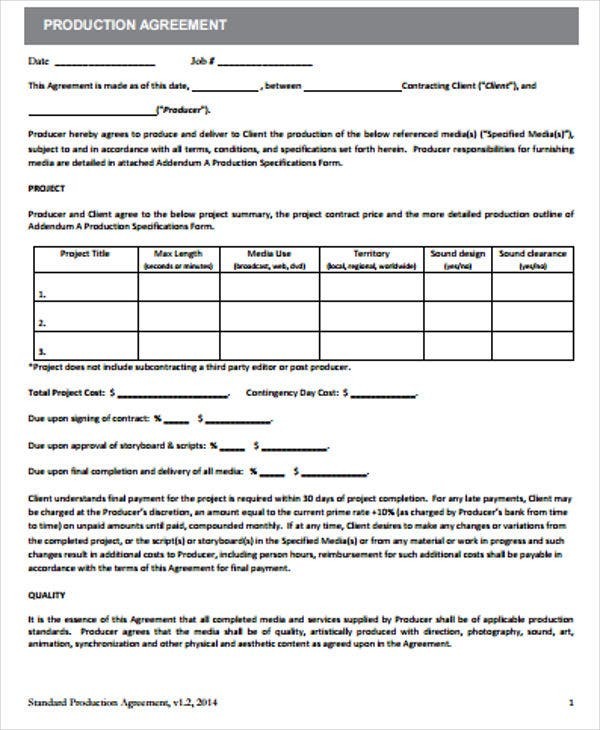 You may also see maintenance contract templates. Vlogs are video clips of people that are personalized but have a theme or a subject matter. It ranges from travel, fashion, current events, or anything that interests the people. Sometimes vlogs can be short or too long. It doesn’t follow a script most of the time, unlike movies, television series, news programs, and documentaries. It’s just the account owner’s personal affairs being spilled into the open. Vlogs can also contain tutorials about the most common things we do at home and some life hacks that we badly need. You may also see rental contract templates. Variety shows are light shows with a concept that’s meant for pure entertainment only. It can be game shows, talk shows or anything that’s entertaining. It aims to relieve the stress of people from working all day or just to pass the time away. Variety shows are shown mostly at day while some are shown at night. 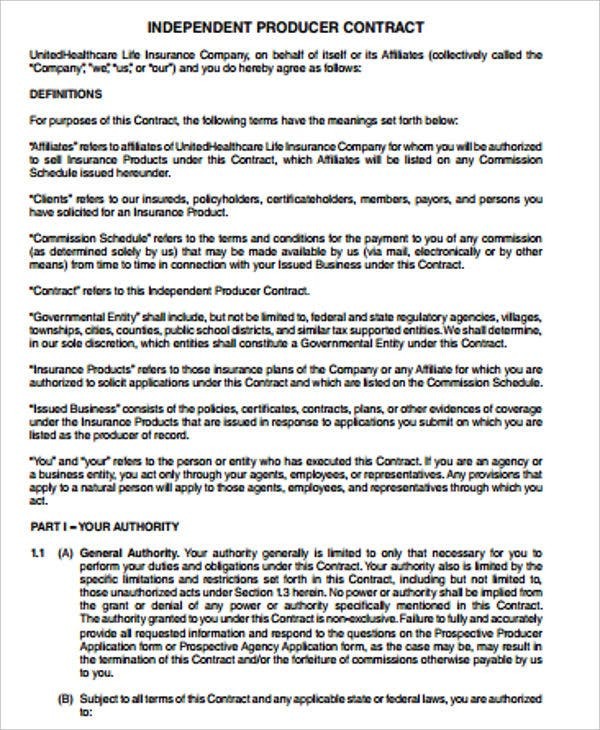 You may also see legal contract templates. Your favorite pop stars produce music for us to listen and learn to love. Music is one of the world’s leading industries and an art that is a force of its own. Albums and digital singles are released every day in all countries. Since its rise some decades ago, the best music is charted to see what’s the most popular one. Singers like Taylor Swift, Ariana Grande, and Selena Gomez have multiple chart-topping hits in the recent years. Right now, we have easier access to music with streaming applications such as Spotify and Deezer. These apps put the albums of the artists and is available for streaming for free. 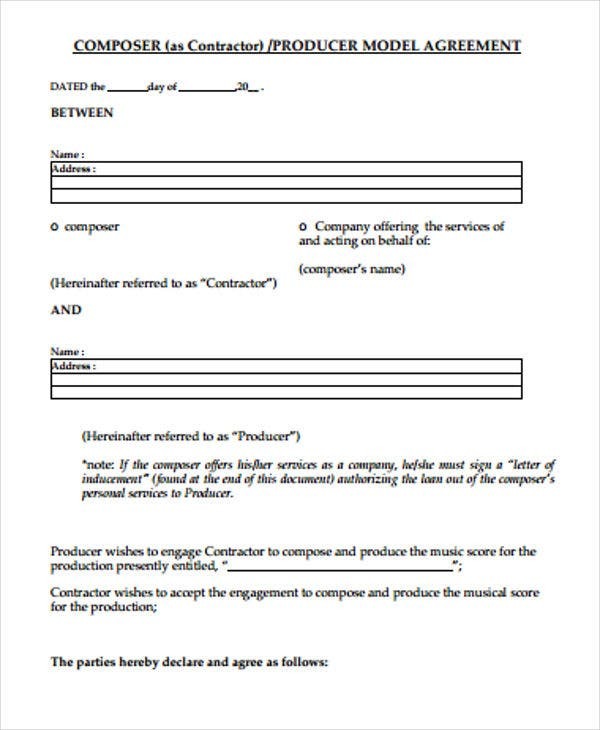 You may also see artist management contract templates. Put information and graphics together and you get infographics. These are images that tell information about a certain topic. The information is condensed on one page so it can be read easily. It is entertaining to see different images, colors and relevant information all at the same time. These are made when there is an important information people should know. You may also see payment contract templates. Nowadays, it is easy to make a simple content and post it on social media. This part of the internet offers no censorship and copyright of the content. It can be easily grabbed by others. On the other hand, when a video becomes famous, it “trends” through word of mouth and online shares. This helps in discovering new talent or bringing up a neglected social issue all of us should be concerned of. With the rapid content production in this generation and the power of social media, everything is just a click away. Along with this benefit is the extra care that we should do to protect ourselves and other people from its potential danger. Producing content is a tough task, but it’s something people would always look for in this boring world. They would look for content that entertains them and opens their eye to the harsh realities of life. If this article has been helpful for you, do not forget to read other related content related to production and producers. You may aslo see SEO contract templates.